Join Kimberly from Naturally Curious Creations as you dive into the world of jewelry creation. 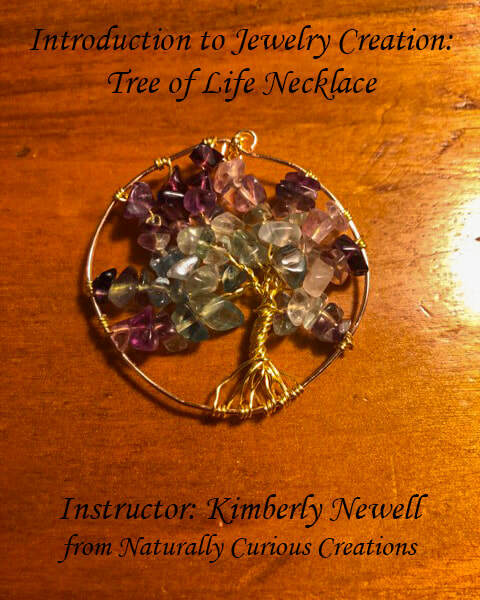 Kimberly will guide you through jewelry basics and even the creation of your own necklace with a Tree of Life pendant made by YOU! This class is perfect for those with little-to-no previous jewelry creation experience. If you wear glasses to read, it may be a good idea to bring them with you.